We are proficient manufacturer, exporter and supplier of Metal Cutting Machine (TK-3554) from Yongkang, China. 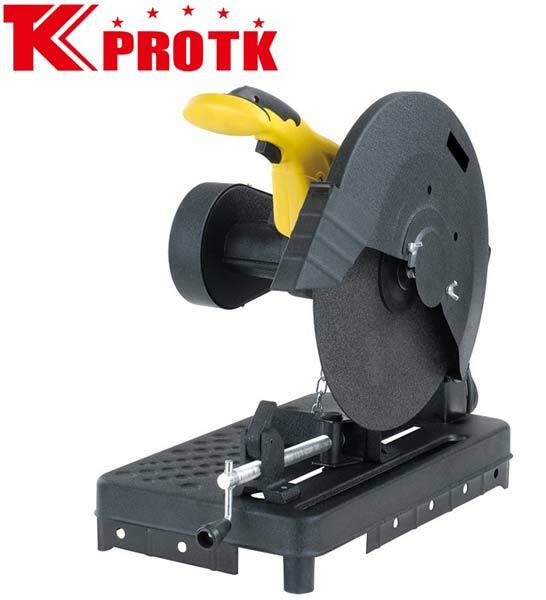 It is heavy-duty, low noise and belt drive model with superior painting. Its rated input power is 2300W, no-load speed is 3800r/min and frequency is 50/60 Hz. We also provide packaging in different colors of carton boxes (1pc/carton). In this machine 100% copper wiring has been done and its blade diameter is 355mm. Its net weight is 16.2 and gross weight is 18.2 kgs.